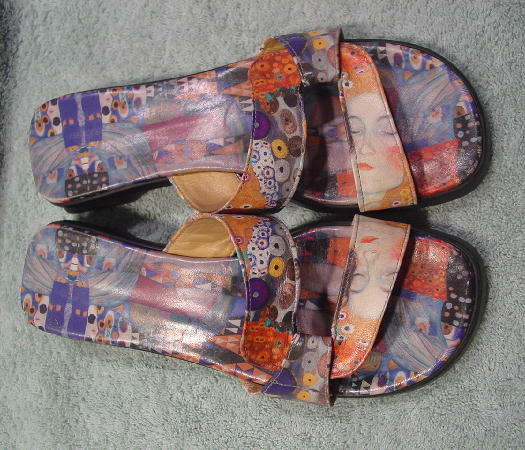 These pop art sandals are by ICON and the footbeds and soles are made of manmade materials. The straps (exterior and interior) are leather. 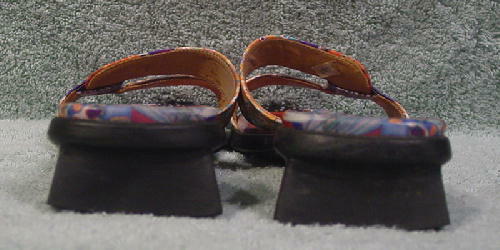 The black rubber soles and Japanese style heels are nonskid. 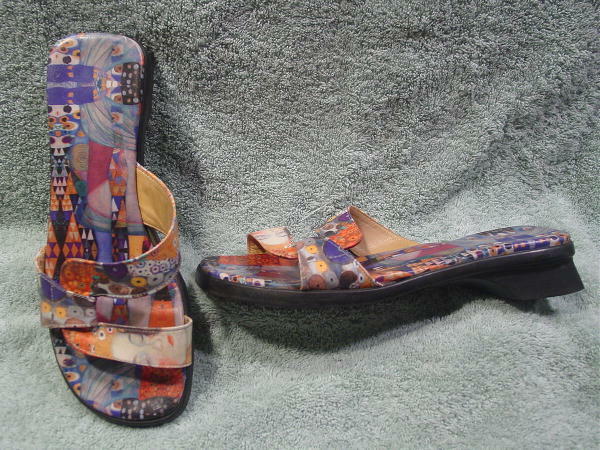 The design pattern is in white, orange, yellow, gray, purple, black, muted red, brown, and various shades of blue. The top straps each have a partial face of a woman with her eyes closed. They were made in the USA. On the tan lining is 18102 302 OS - 4 7M. They're from a Japanese model. She paid $185 for them on sale. 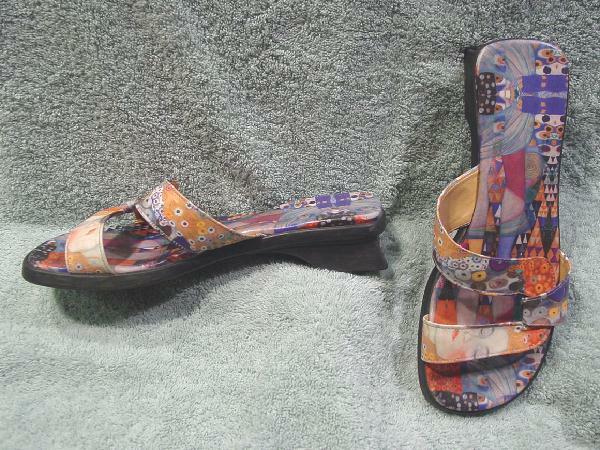 bottom heel to footbed 1 3/8"